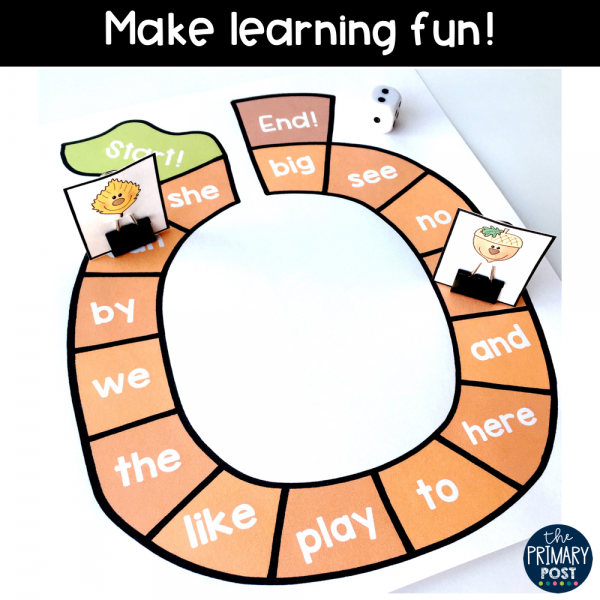 I started making themed game centers that I could easily implement because my kids already knew how to play, but I would keep them excited each time with a fresh look! 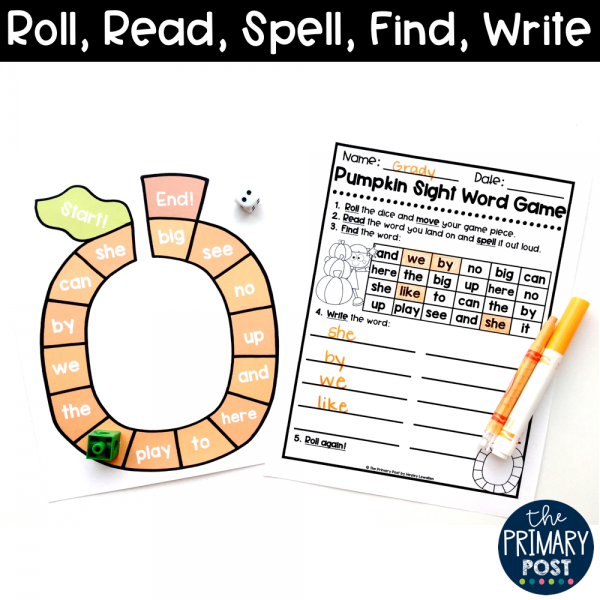 This Editable Sight Word Pumpkin Game is a great example of getting my kids “used to” a center, and then just changing out the theme. Fall is right around the corner, and we know what that means! PUMPKINS! 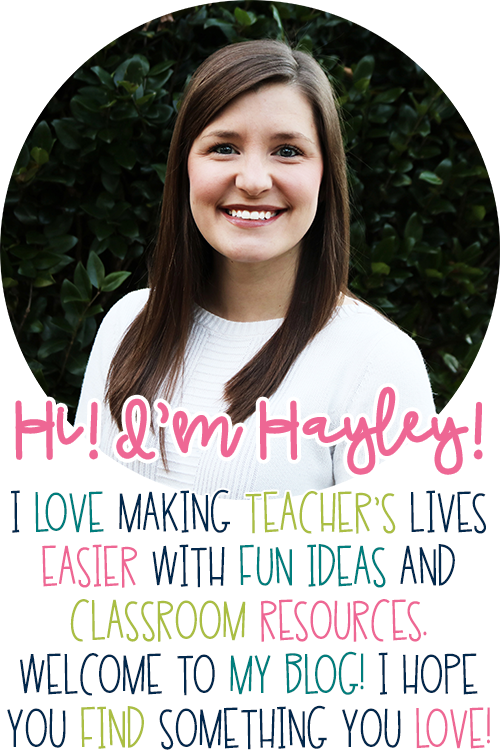 Check out this FREEBIE below. What kid doesn’t love a game? 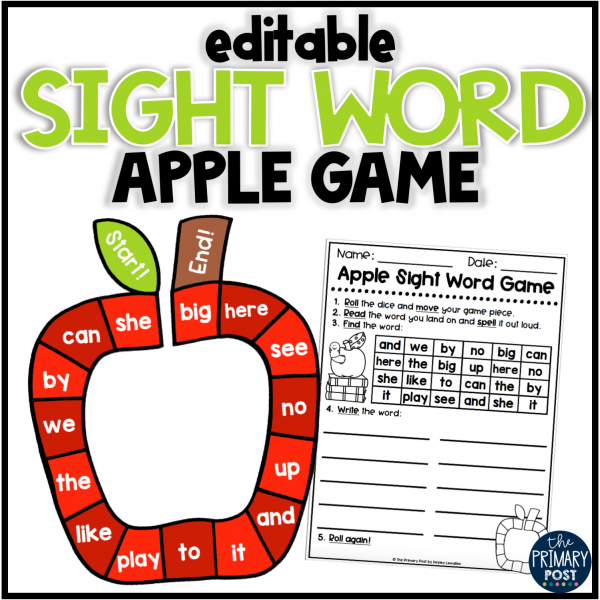 This Sight Word Game is the perfect way to sneak in some sight word review while making it interactive and fun! 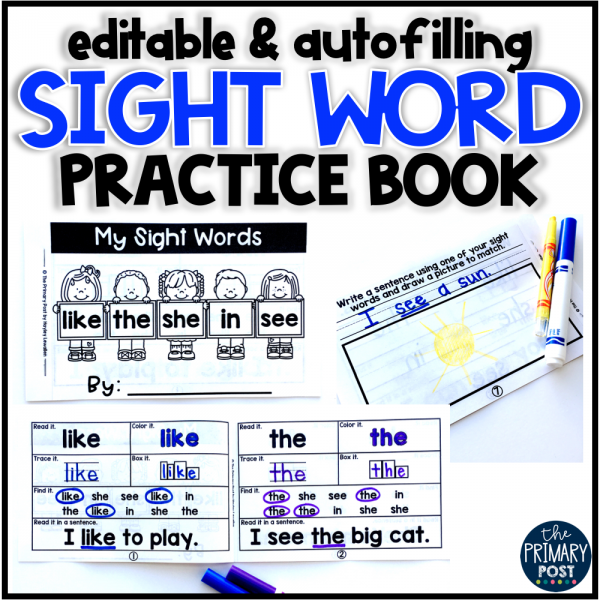 The best part is that you can either use the words I have already provided, or plug in your own sight word list. 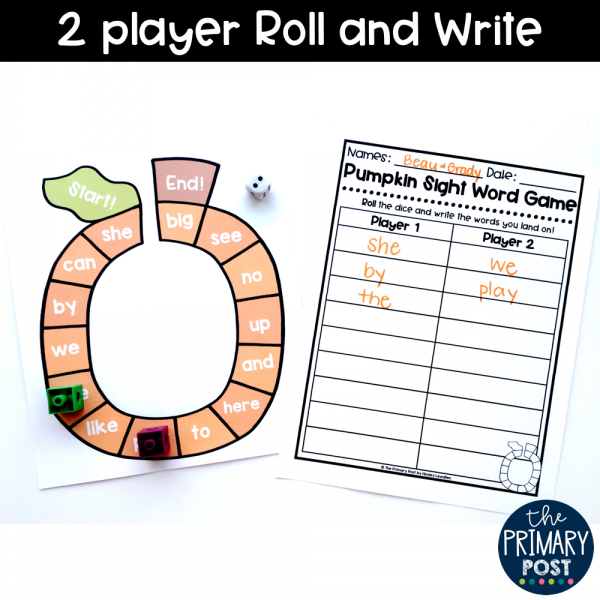 Or you can pair students up and let them take turns rolling the dice and recording the words they land on in this 2 Player Roll and Write. 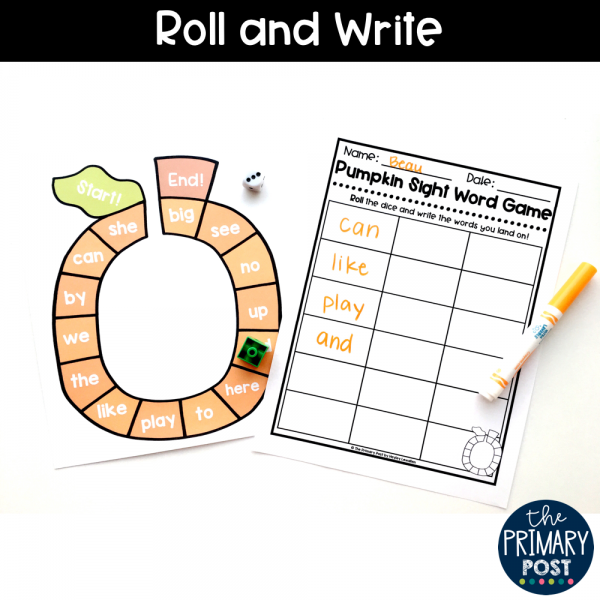 The last way to play is your basic Roll and Write. 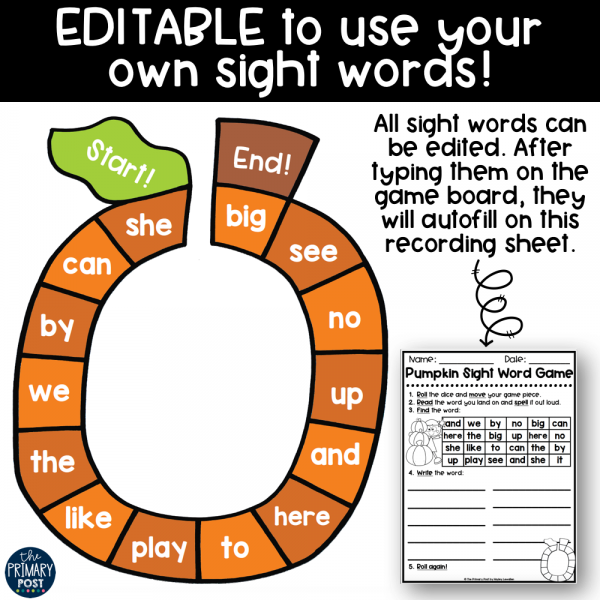 Students roll a dice and record the words they land on. 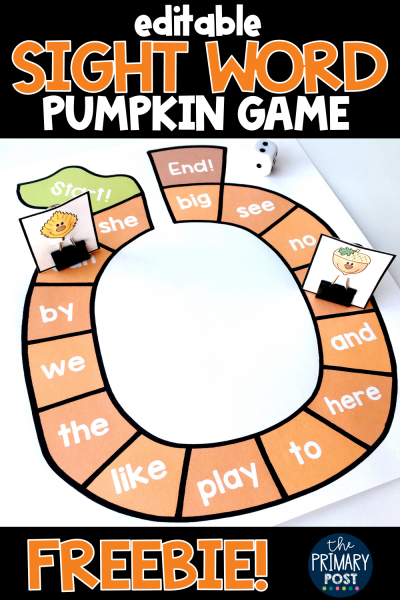 Are your students ready to bring on Fall with this fun game?!? 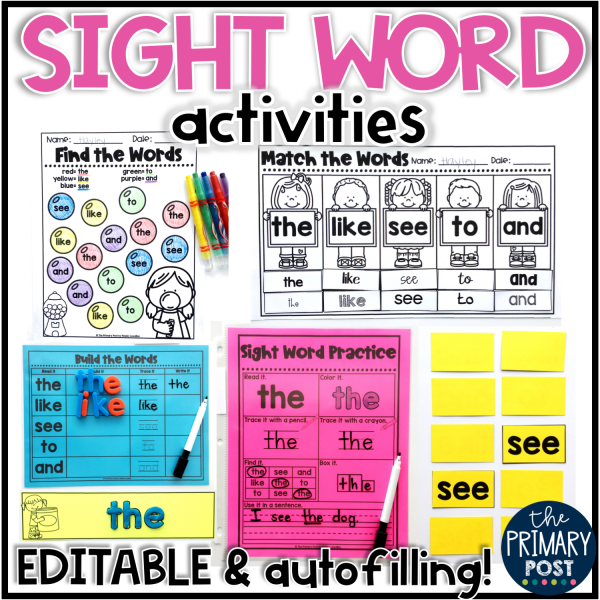 Grab your FREEBIE at the button below, and I hope you’ll check out my other Editable Sight Word Activities like the ones below. 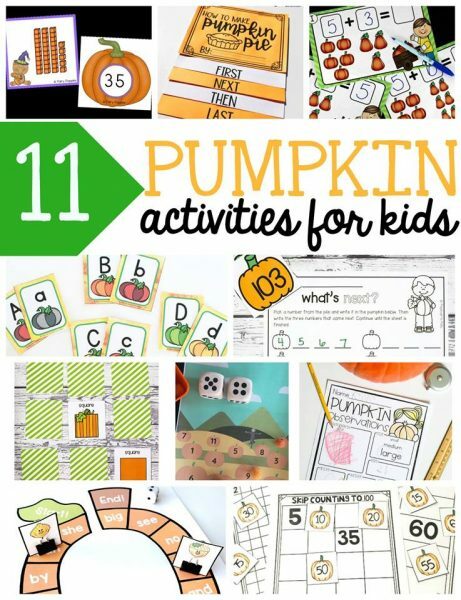 Check out these other awesome Pumpkin Activities below!